Tampa Hillsborough Expressway Authority (THEA), along with New York City Department of Transportation and the State of Wyoming DOT, are currently in the installation stage of the Connected Vehicle (CV) Pilot, a ground-breaking project to implement multiple Connected Vehicle applications that will help to improve safety, mobility, and reduce environmental impact. The project is partly funded by the U.S. Department of Transportation, and partly by local agencies. In Tampa, the project involves installing radios and computers in over 1600 vehicles and in over 40 fixed locations at downtown intersections to enable vehicle-to-vehicle (V2V) and vehicle-to-infrastructure (V2I) communication. 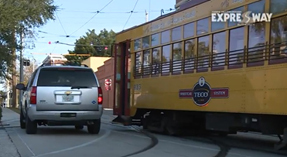 A unique feature of the Tampa project is installation and operation of collision warning applications in 10 of the historic electric streetcars that operate along Channelside Drive in Tampa’s Central Business District. 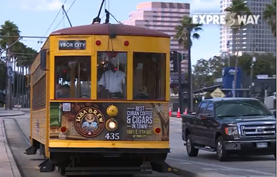 The streetcars are popular with tourists and Tampa residents. The streetcars run on tracks alongside city streets, obeying the same traffic signals as other vehicular traffic. Since streetcars are heavy (32-ton) vehicles, they accelerate and move slowly, and often drivers of vehicles to the left of streetcars who wish to turn right at an intersection will attempt to turn right in front of moving streetcars. Streetcars cannot stop quickly or swerve, so collisions have sometimes resulted. 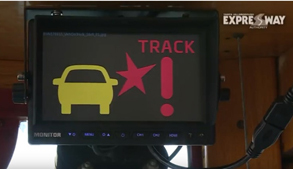 The Connected Vehicle application being implemented to mitigate and warn of this unsafe practice is called “Vehicle Turning Right in Front of Transit Vehicle”. 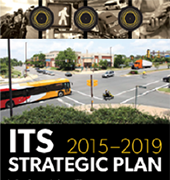 Originally envisioned for buses, THEA is adapting the application for streetcars. 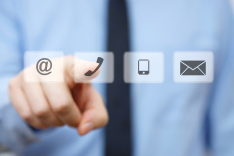 Global Positioning System (GPS) antennas and Dedicated Short Range Communications (DSRC) antennas are being installed on cars and streetcars, as well as processors called Onboard Units (OBUs) and display screens. The OBUs constantly broadcast and receive Basic Safety Messages (BSMs) that contain vehicles’ location, velocity, and acceleration, among other values. When an OBU predicts a potential collision between a streetcar and an instrumented automobile, it displays a warning on the streetcar screen (see photo) and the automobile screen, and emits an audible alert signal. Each streetcar has two screens, one at each end of the streetcar (since it can travel in either direction). Wooden panels inside the streetcars had to be removed to run cables from one end to the other and to the antennas on the rooftop. Since the streetcars have wooden rooftops, special metal plates are being added to provide proper grounding for the antennas. The antennas are being checked carefully to ensure they can operate successfully in close proximity to the high-voltage (640 volt) power line that provides power to the streetcars.